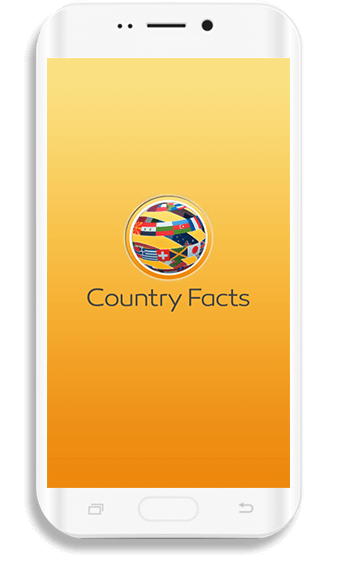 Country Facts is an informative android app that contains all the important information about top 20 countries of the world. With this app in Android phone, gathering tidbits and random facts about top 20 countries is very easy. 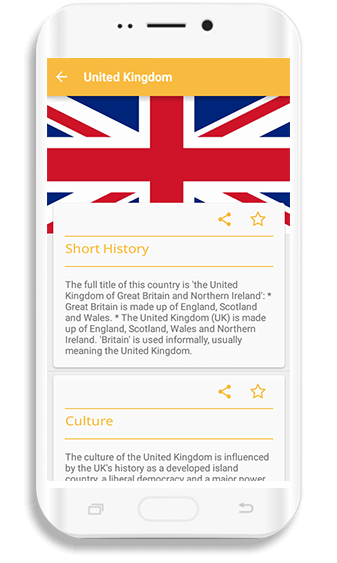 This user-friendly app can prove to be an ultimate factbook to enhance general knowledge about history, culture, economy, GDP and life in the top 20 countries. The users can gradually improve their knowledge about the countries such as Sweden, United Kingdom, Japan, and China. 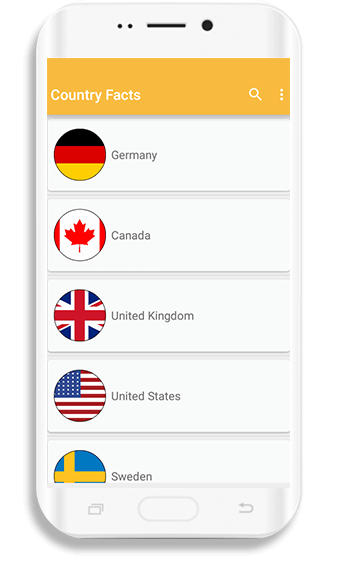 This android application is equally beneficial for students and professionals who wish to access country-wise information about top 20 countries of the world. This android app contains all the information a person can need about the top 20 countries of the world such as culture, history, people, economy, and GDP. There is no need to perform complicated steps to get facts, and neither does any user require an internet connection for this user-friendly app. This android application is a combination of accurate and up to date facts and figures about the top 20 countries of the world.